Spoiler alert: there’s tea growing in Peru. I know, that’s not a surprise to anyone. After all, the country is considered the 28th largest tea producer in the world. However, until last year, it was completely new news to me. But let’s begin with where I began in my pursuit for Peruvian tea. It all started in (and around) 2010. A random person gave me some bags of mate de coca. (I.e. A tisane made from the coca plant.) Yes, it’s exactly what you think it is. Yes, I know it’s illegal in the United States. And yes . . . I wrote about my experience with it. Over the years, though, I mused whether or not actual tea plants could grow there. By all accounts, it seemed to have ideal conditions for tea growing: altitude, sub-tropical, rainfall, etc. I didn’t inquire about this possibility further until about two years ago. And then, I’m not exactly sure how, I had my first breakthrough. A random image I found on Flickr. Image owned by Kim (TheGirlsNY). Found on Flickr. A hotel just outside of Machu Picchu had its own tea garden. Why? I have no clue. But apparently hotel guests were allowed to pick their own tea, and the hotel staff would cut it down to fannings grade and bag it for them. That sparked my imagination. I did more searches for Peruvian tea gardens, and—for some reason—turned up nothing. To this day, I think it was because I wasn’t looking in the right places. Or maybe it had something to with it being labeled a drug-producing country. Not gonna lie, whenever I looked up “Peruvian tea”, mate de coca often showed up first—front and center. So fruitless were my searches, I even turned to begging people who were visiting Peru to find out more while they were there. Such pleas were met with eye-rolls, though. Eventually, I gave up. Until I came in contact with a man named Manoj Archibald. We had been “friends” on Facebook for well over a year, but we hadn’t spoken two words to each other. All I knew about the guy was that he managed a tea company in the Nilgiris region of Tamil Nadu, India. 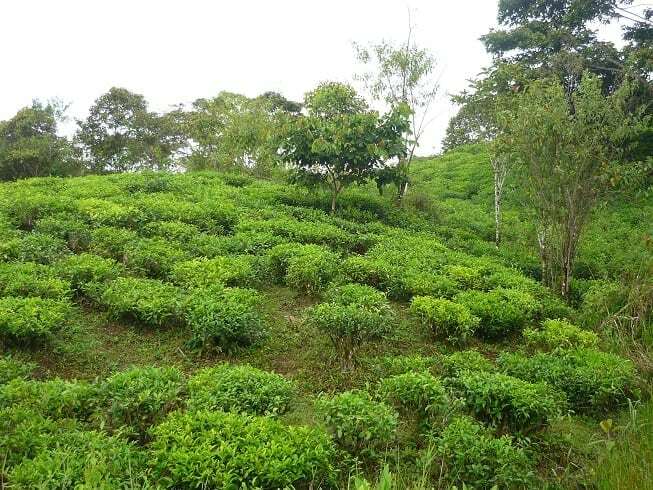 What did a humble tea company manager have to do with Peruvian tea? Well, it turns out Manoj moonlighted as a tea blogger and content writer. The name of said blog was . . . arguably the best name ever—The Crazy Tea Maker. And one of his articles happened to focus on the history of tea in . . . *drumroll* . . . Peru! You should READ IT for yourself. Go on. I’ll wait. 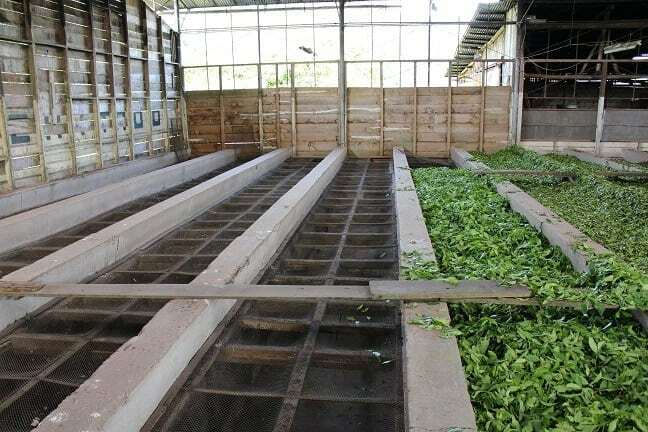 Not only did Peru have a long and varied history of trying to get a tea growing industry off the ground, it—like many other countries south of the equator—had considerable difficulty doing so. For over a hundred years, economics and political conflict curbed any sustainable efforts to keep a consistent agricultural enterprise afloat. As a result, many gardens that were plotted and planted were left abandoned. But Manoj ended the article on a high note. 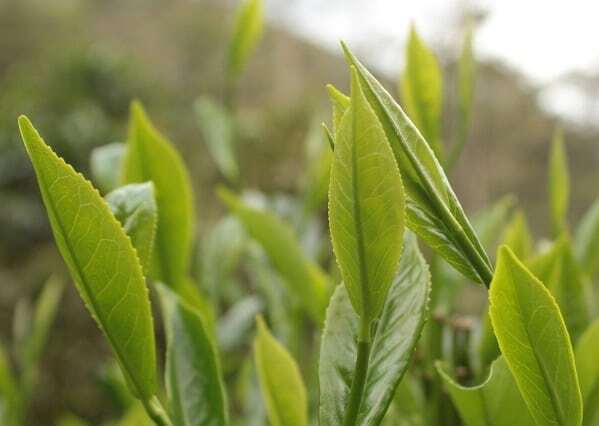 Efforts were underway to revive the Peruvian tea industry. 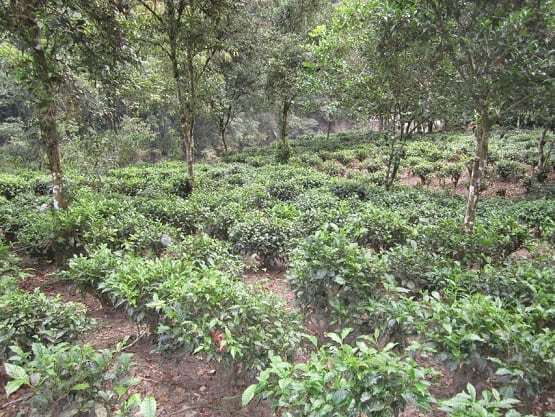 Old, feral tea gardens, once owned by the state, were being leased to private citizens. And these newer, younger entrepreneurs were not only attempting to produce tea, but quality tea, at that. 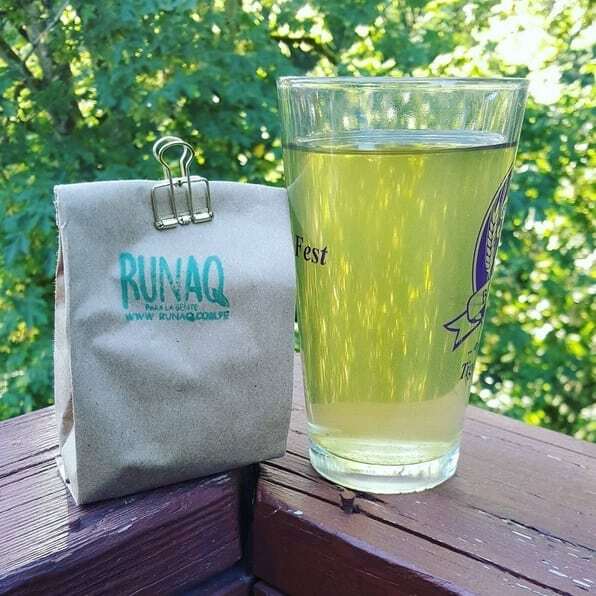 RUNAQ was one such enterprise. RUNAQ is a brand that hails from the district of Huayopata, in the province of La Convención, within the large, northern region of Cusco. The three-hectare garden they manage is situated in the Choquello sector at an altitude of 1,300 meters above sea level. Like many other gardens, it was likely planted at the turn of the 20th century, and changed hands several times. 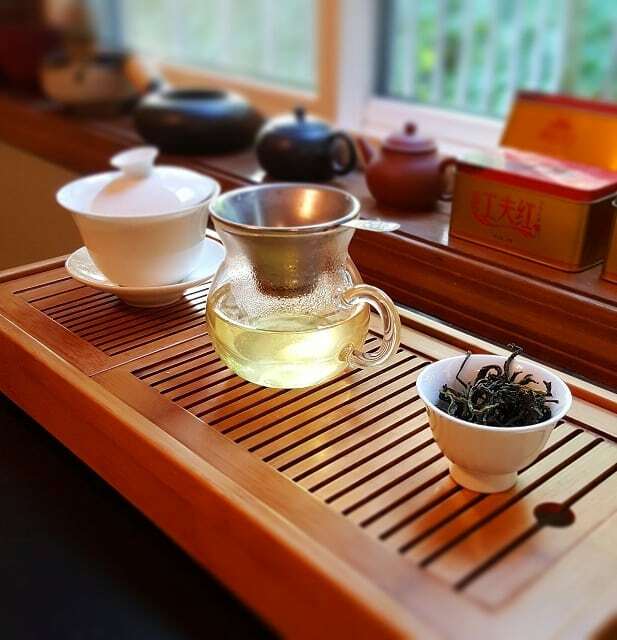 The mission of their brand is to work not only out of their own garden, producing quality tea, but also to encourage other like-minded projects. 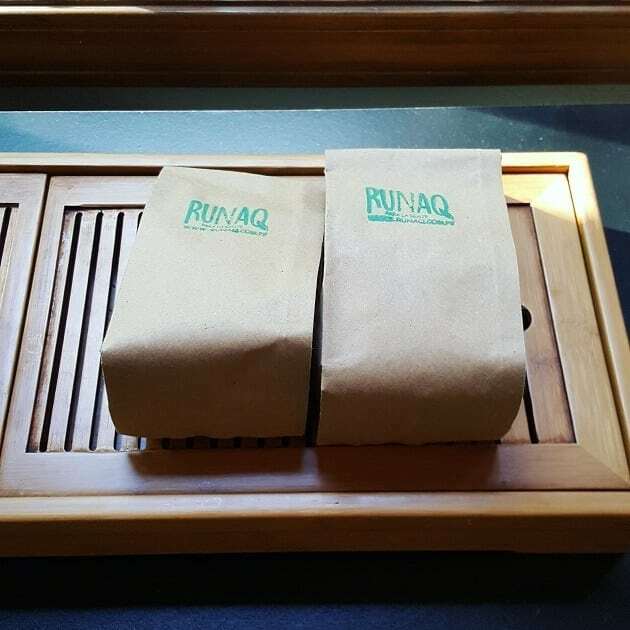 The word “runaq” is an old Quechua word that literally means, “for the people”. At Manoj’s behest, I made contact with the RUNAQ brand manager mentioned in the article—Arafat Espinoza. 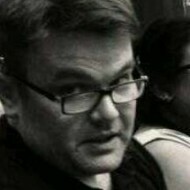 He, in turn, put me in touch with his co-manager (and English language contact)—Yulissa Boeren. 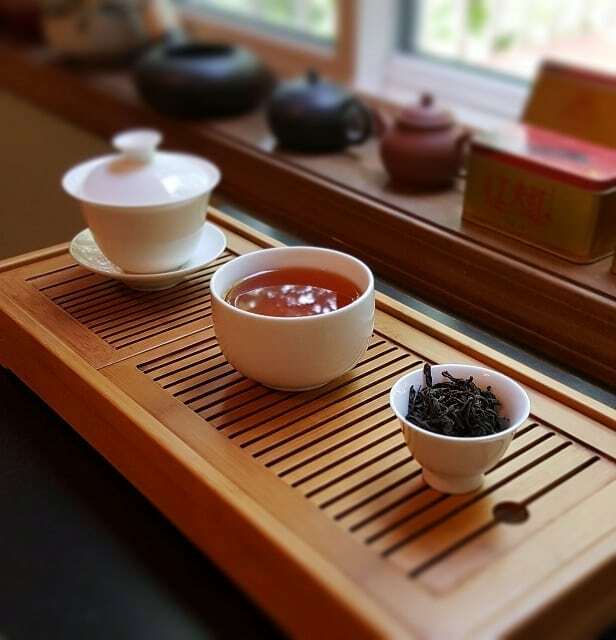 After a couple of weeks of exchanging e-mails, they agreed to send me some of their tea to test-drive. Originally, they were worried about two possible snags. One, U.S. trade law. After all, Peru was still considered a “drug country”, and then there was the possibility of a lengthy transit. Earliest prediction was a two-month delivery cycle. One can imagine my surprise when it showed up on my doorstep two weeks later. Of course, the moment I got the teas, I brewed up the green tea first . . . because . . . afternoon? Yeah, that’s my excuse. And? I dug it. While I couldn’t quite pinpoint my thoughts just then, I—at least—had an idea of what I was getting myself into. 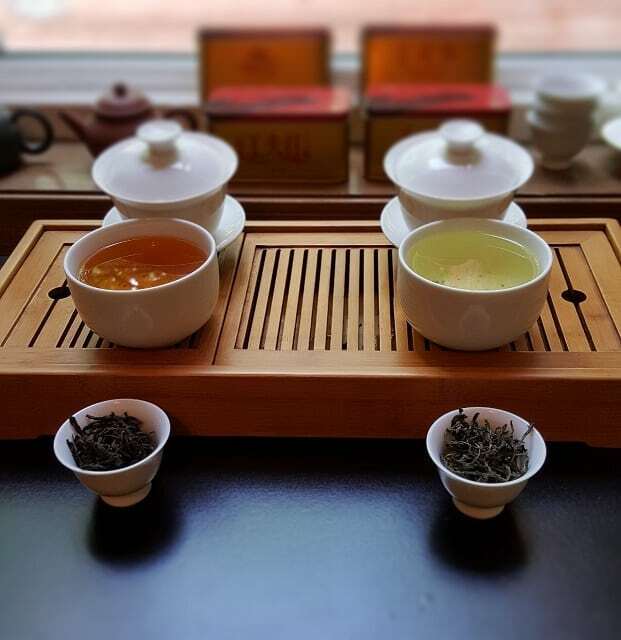 Some weeks later, I finally sat down with both teas and gave them a lengthier brew-up session. 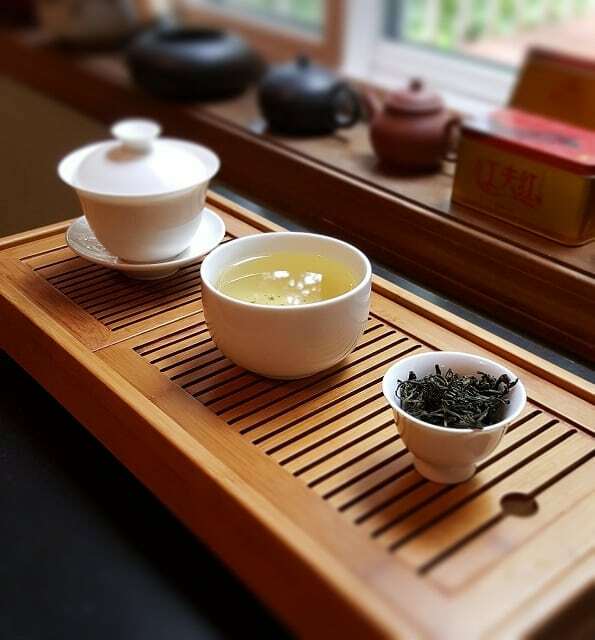 The green tea leaves were beautiful! Looking like a wilder, more unrestrained version of Mao Feng. They were dark green, with beige tips, and—my favorite part— they were whole. Minimal cutting was done to them save for the initial roll. As for aromatics, they gave off a dry scent that was both grassy and smoky. Not sure if any smoking was done to the leaves, but they certainly smelled it; with a light touch, of course. The liquor brewed to a light yellow-green with a medium body to the eye. The steam aroma was smoke, nuts (of some sort? ), and sweetness. Everything about the look and smell echoed the Mao Feng comparison . . . and then I got around to sipping it. This was entirely its own thing. 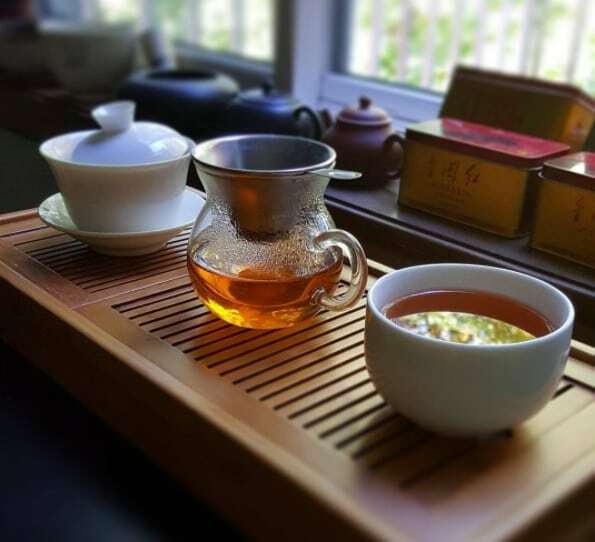 The forefront was toasty and warm, followed by a bit of cantaloupe and apricot in the middle, and the finish lingered with notes of Wuyi-like cliffy-ness and a memory of mountain flowers. More bold than the color would lead the drinker to believe, but softer than the voice of a lost Andes hiking tourist. 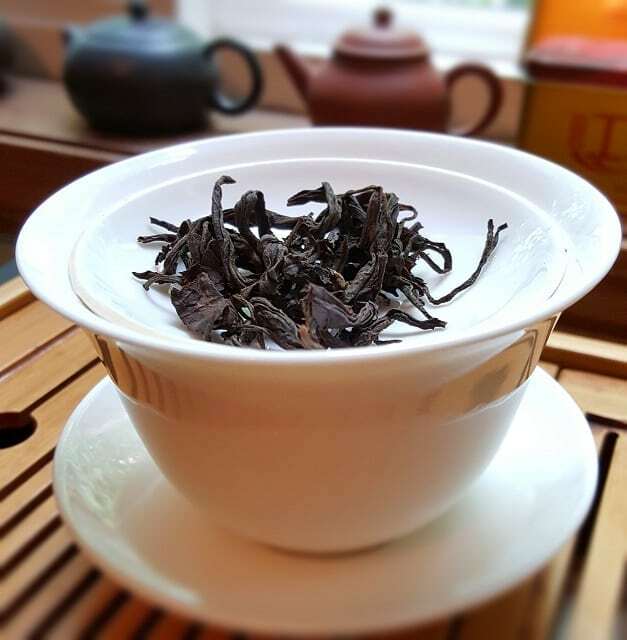 Like the green tea, the leaves were long, wild-looking, and un-cut. Again, save for the initial rolling, they appeared intact. Colors ranged from dusty brown, to soot-black, to tips of purple and crimson. For all intents and purposes, it looked like a wild Keemun. That impression carried over to the smell as well; I breathed in notes of wood-sweetness, earth, and an echo of high-altitude spice. After a three-minute steep, the liquor colored far darker than I thought it would. It was a bold, Keemun/Assam-like copper red. There was some softness to the periphery of the cup, but overall—oh yeah—this was burly as all heck! Just as much of a full-bodied blast presented itself in the aroma; all malt, cinnamon bark, wood, and other manly-sounding things. The taste, however, was not as much of a chewy beast as I expected, and I was strangely okay with that. On the front, malt took point, but that softened toward the top note to a gentle lean of orange pekoe muscatel, and then it downhill slid into low-altitude Ceylon floral notes. All the while, I kept getting a feeling of warm embers on the back of the throat. And that’s when it hit me. The terroir. It was a cinnamon-sweet forest fire. Before finally putting all these thoughts into a cohesive narrative, I did a few more brew-ups of the green and black. I learned that the black could be approached from many different brewing angles. That and it had all the desired notes most English Breakfast blends aspired to. Robust and wakeful, but layered and nuanced as well. It even put up quite well to a gong fu prep. The green tea, on the other hand? 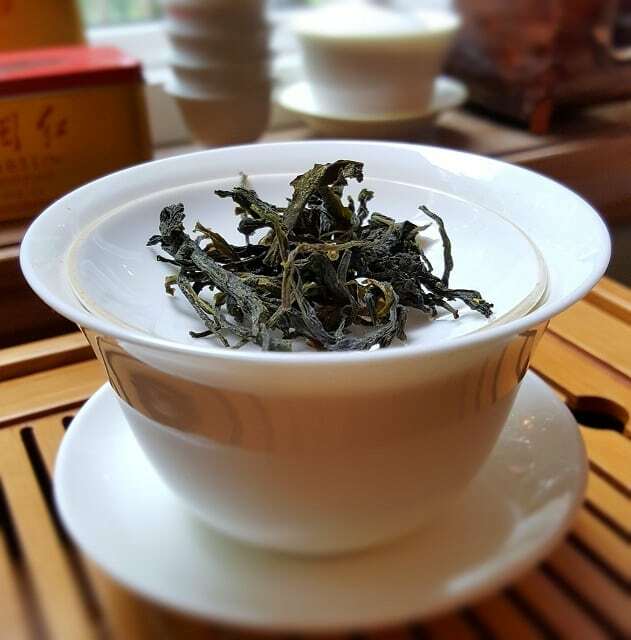 I first thought that the whole “smoky Mao Feng” comparison was a detriment, and I advised RUNAQ to maybe dial down the pan-fry/kill-green process to bring out more terroir notes. Well, I changed my mind on that. Especially after subjecting it boiled water and a pint glass. It’s pretty damn perfect the way it is. It might even be one of my new favorite green teas of all time. That’s saying a lot, given that I’m not usually known for my green tea appreciation. For more information on RUNAQ (in Spanish), go HERE. You know what? You and I are on the same planet as I have plans to write something on “New World” teas looking at it through the glens of the “New World” wines history. muy bien escrito y muchas gracias por probar nuestros tés! Gracias!! Es possible a comprar este té ?